Advocates for Children and Families provides individualized biomedical evaluations, therapies, and pediatric care in a nurturing atmosphere and teaches the model of recognizing and addressing the uniqueness of every patient and family. Pediatric practice - accepts reimbursement. Consultations for autism spectrum disorders. Advocates for Children Pediatrics is a pediatric practice with emphasis on patient education and natural alternatives to prescription medicine. Accepts insurance reimbursement. Choosing a healthcare provider is an important decision that should not be taken lightly. Your provider and his or her staff will partner with you long term to provide the best quality care and meet your ever changing needs. Advocates for Children is a small practice that provides general pediatric care for ages birth to 21 years of age. Dr. Mumper is currently a solo practitioner with a small support staff in comparison to other pediatric practices. A small practice such as ours tends to provide more intimate, personalized care but also may not provide the conveniences of a larger practice such as weekend and evening hours. In addition to our physician, we have pediatric nurse practitioners available to see patients for preventative care as well as acute visits. Nurse practitioners are advanced practice nurses that have the traning and skill to assess, diagnose, and treat patients. They also have prescriptive authority. 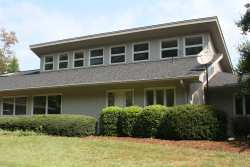 Our office is staffed Monday through Friday with an experienced nursing staff, a nutritionist, and a receptionist. Our nurses are up to date on current pediatric trends and medical issues that may impact your family. 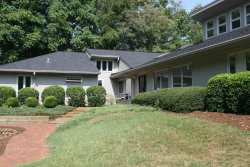 We provide quality, family-centered care in a home-like environment. Our office also has a separate practice dedicated to the treatment of children on the autism spectrum. 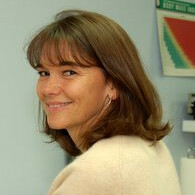 For 14 years, Dr. Mumper has specialized in the biomedical treatment of children on the spectrum. While this practice is only a small fraction of our total patient population, Dr. Mumper does travel frequently for training and speaking engagements. We try very hard to have office coverage in her absence but do have occasional days that a provider is not available to see patients. We are able to refer patients to one of several local urgent care centers if we feel they need to be seen. A new trend in pediatric care is the involvement of a pediatric hospitalist as part of our care team. Hospitalists are physicians specializing in the care of acute ill children who require hospital admission. Our hospitalists work directly with the pediatrician in Lynchburg to provide care if and when it's needed. Because these specialized physicians are available at the hospital 24 hours a day, many of the Central VA pediatricians no longer have hospital privileges. Rest assured that the hospitalists communicate directly with Dr. Mumper to provide the best possible care for our patients during a hospital stay. "We believe that people of gentleness and caring can change the world - one unseen, unsung, unrewarded kindness at a time." We promote regular check-ups according to the schedule proposed by the American Academy of Pediatrics. We use anticipatory guidance and safety counseling guidelines as outlined in the Bright Futures project, developed at the Harvard Medical School Public Health Department. We have chosen to devote a large proportion of well baby visits to screening babies for developmental problems, supporting families in their parenting efforts, and counseling care-givers about safety, feeding, sleep and behavioral issues. Insurance companies reimburse the same amount of money for a quick physical exam labeled as a well baby visit as they do for the extensive visits we provide. We hope you enjoy and appreciate the extra time! The following services may recommended by your physician as a necessary part of your child's care. Please be advised that these procedures are frequently denied by certain insurance companies. Advocates for Families specializes in biomedical treatments for autism and other developmental disorders. This information is intended to give you basic information and guidelines to prepare you for your first visit to our office. Working with children with disabilities is difficult for both families and practitioners. While we are here to partner with you in this difficult work, each child is an individual and requires his/ her own treatment plan. Your child’s progress will hinge not only on our plan of care but on your commitment to its implementation. What we will ask you to do will not be easy but we will support you through it. Due to the complex nature of treating children with autism, Advocates for Families does not accept insurance. We are happy to provide families with detailed billing statements that can be submitted to private insurance companies. Payment in full is due at the time of service. Because we do not participate with insurance, Advocates for Families cannot be responsible for insurance referrals, prior authorizations, etc. All negotiations must be done by the patient's family or primary care physician. Please note that phone consultations can be filed with your insurance company but are not generally considered a covered service by most commercial insurances. Our experience has been that families are more successful in retaining information and implementing treatment when they have shorter, more frequent appointments. The average initial evaluation and treatment plan takes about 3 hours depending on the complexities of the child. We strongly recommend scheduling these appointments over several days or weeks especially if utililizing other clinic services. Our telephone is answered 24 hours a day. All after hours or weekend calls will be returned by the physician or nurse on call. However, if your child requires medical care between 11:00PM and 6:00AM you will be referred to the emergency room. This telephone service is available for our primary care patients only. All other patients will need to call for assistance during regular office hours. At Advocates for Children and Advocates for Families we believe in a team-approach to care. We are fortunate enough to have a DAN!-trained, internationally known physician, two nurse practitioners, and professional support staff. We are also a training facility for medical and nursing students. You will have the opportunity to work with all of our staff during your visits. Due to the complexity of these children it is difficult to give advice over the phone. Please make an appointment for complicated issues or if you need to ask multiple questions. Due to the high volume of patients we see and the size of our staff, we cannot be responsible for negotiating with insurance companies regarding labs or supplements. We will be glad to supply you with the diagnosis and/or procedure codes you may need in order to work with your insurance company. Fill this (and the Neurodevelopmental Intake Form below) out with as much detail as possible. The packet will need to be mailed to the office along with $300.00 non-refundable intake fee before we can schedule your appointment. This fee will be applied toward your initial visit. The completed new patient packet, intake questionnaire, and $300.00 deposit must be received before your appointment will be scheduled. We accept cash, check, Visa, and Mastercard. Laboratory tests are an important part of your evaluation. In order for us to customize your treatment plan, our doctors will recommend lab tests based on your child’s individual history and assessment. Lab tests will be recommended at your first visit. Some of these tests may be covered by your insurance; however, the specialized tests are rarely covered and can be expensive. Develop a budget for these types of services and communicate it clearly with us during your initial visit. We will make every attempt to stay within your budget. Because these labs are extensive we will not be able to give results over the telephone. Many of the labs will be reviewed at your follow-up consultation. However if additional lab work is done, it is your responsibility to schedule a follow-up visit either in office or by phone consult with a physician. She spent five years in practice at F Read Hopkins Pediatrics in Lynchburg. She spent over a decade as Director of Pediatric Education at the Lynchburg Family Practice Residency Program. She maintained a clinical faculty appointment at the University of Virginia for 16 years. She served as Medical Director of the Autism Research Institute for five years. She is currently on the faculty of MAPS (Medical Academy for Pediatric Special Needs), and teaches for Intersect for Kids. She is pursuing certification from the Institute of Functional Medicine. She is on the Medical Advisory Board for TACA (Talk About Curing Autism). 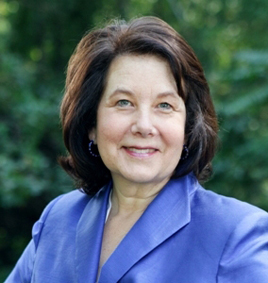 Dr. Mumper has been honored to receive many awards over the years, including being named a Miracle Maker in Central Virginia in 1996 by the Children's Miracle Network, Woman of the Year in Health and Sciences in 1998 by the YWCA and several Inspiring Change Awards from the MINDD Foundation. She received a national award for corporate public service at the National Press Club in Washington on behalf of the Bike Helmet Safety Campaign she co-chaired for many years. Dr. Mumper has written book chapters about allergy, immunology and behavioral and developmental pediatrics published in the book "Pediatrics" published by Lippincott, Williams & Wilkins, which is a board review series book for medical students and includes many questions and answers. During the past seven years, she has conducted clinical research at the Rimland Center and published peer reviewed articles in the medical literature. One of the joys of her current work is the opportunity to teach others about medical problems of children with autism and related disorders. 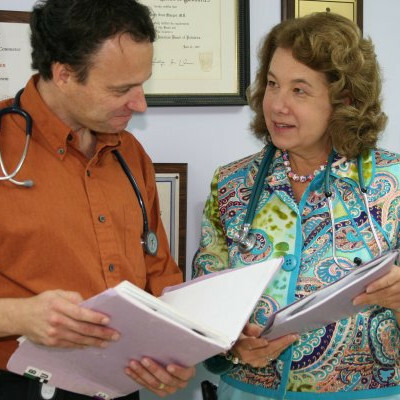 She lectures nationally and internationally and mentors physicians around the world. Her travels on behalf of children with autism have taken her to Australia, Austria, Canada, the Czech Republic, Denmark, Hong Kong, Italy, Japan, New Zealand, Norway, Poland, Sweden, Switzerland, Thailand, and the United Kingdom. Lisa Coleman serves as the Practice Manager at the RIMLAND Center. She has been with the practice since it opened in 2000. Lisa is a registered nurse with 30 years of experience in Women's and Children's health having worked in Child and Adolescent Psych, OB, Lactation Education, Pediatrics, and School Nursing with an emphasis on special education. She is a certified medical office manager and a certified professional coder. Lisa has been married for 30 years to her husband, Al and has 2 grown sons, Will and Stuart, a lovely daughter-in-law, Lauren, and a precious grandson, Harvey. In her spare time, she enjoys reading, painting, singing, traveling, cooking, wine, and playing with her dogs Brinkley, Afton, and Charlie. She has attended 10+ Defeat Autism Now conferences and participated as a speaker at three; attended two IFM conferences, a MAPS conference, completed two Professional Training in Functional and Clinical Nutrition 10 month training programs and both the Bioindividual Nutrition training and the Nourishing Hope for Kids training through the Bioindividual Nutrition Institute. Susan and her husband, Scott, have two children: Austin and Jordan. Susan enjoys yoga, running, reading and healthy cooking. 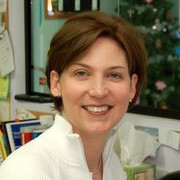 We are delighted to have an experienced Pediatric Nurse Practitioner in our practice. Ginna Petrikonis graduated with honors from the University of Virginia Nurse Practitioner program and spent much of a year as a student mentoring with Dr. Mumper. She has prior experience as a school counselor and youth coach and grew up in Lynchburg. She has worked as an RN in the Emergency room at Children’s Hospital of Philadelphia, the pediatric and adolescent psychiatry ward at Virginia Baptist Hospital, and on the inpatient pediatric service at Lynchburg General Hospital. We are grateful for the breadth and depth of experience she brings to our patients. Kelsey received her Bachelors of Science in Nursing from Virginia Commonwealth University. She has been a nurse for 11 years and worked in the emergency room and post-anesthesia care settings before coming to work at Advocates for Children. Kelsey and her husband Mike have two spunky children. She enjoys reading, playing musical instruments, running, yoga, and throwing away unused toys when her children aren’t looking. She is involved in the women’s and children’s ministries of her church and looks forward to many more years with the Advocates family. Vickie has 3 sons: Jonathan, Matthew, and Daniel. Jonathan is married to Nikki and they have 2 children, Faith and Colton. Daniel is engaged to Melissa and they have a daughter, Ava. In addition to spending time with her grandchildren, Vickie enjoys the outdoors and loves to travel. Imagine an autism-focused health center located in the heart of a small Southern city full of hospitality and charm, where patients, families, and interested medical professionals can receive the individual care and education they so desperately need. Far more than just a doctor’s office, the RIMLAND Center includes not only exam rooms and lab equipment but also a state-of-the-art hyperbaric oxygen therapy center and a demonstration kitchen where families and doctors can learn first-hand how to implement the diets - gluten-free, casein-free, special carbohydrate - that have the potential to change their children’s lives. Imagine a doctor’s office where, instead of an impersonal and anxiety-producing waiting room, patients enter a skylit room with brick walls, bistro tables, comfortable chairs and sofas - a relaxing environment made for the whole family. While they wait, children can enjoy the adjacent playroom, which also serves as an arena assessment area for physical therapists, occupational therapists and others. Plasma TVs bring to life educational videos, making the most out of the time between assessments and hyperbaric sessions, and the building can also serve as a community center where special needs organizations can meet outside of office hours. The new mentoring center is international in scope, helping to bring the Defeat Autism Now! biomedical approach - autism is treatable, recovery is possible - to clinicians from around the globe. Over 80 doctors have already expressed their interest in participating in such a mentoring experience, and families from as far away as Italy have already made use of all the facility has to offer. Every doctor trained and every family served can help more children and bring us closer to the goal of restoring these children to their full potential. Wondering whether your child's symptoms are serious? Should you call the doctor, treat your child at home, or go to the emergency room? Our telephone is answered 24 hours a day. All after hours or weekend calls will be returned by the physician or nurse on call, however if your child requires medical care between 11pm and 8am you will be referred to the emergency room. This telephone service is available for our primary care patients only. All other patients will need to call for assistance during regular office hours.